The mobile landscape is littered with devices, platforms, and operating systems. If you are a web developer, you might be familiar with the agony of testing 10 or so browser versions across 10 or so operating system versions. Multiply that by 100 and you have mobile. 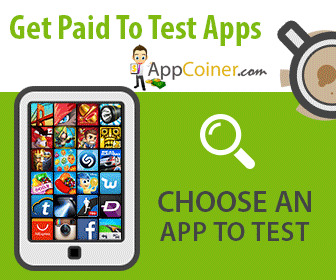 There is simply no cost-effective way to develop and test across all of the possible combinations. Of course, different devices have different features. Maybe a particular device doesn't have a camera or doesn't have an accelerometer. Even when devices do have the same features, they each have their own ways of exposing these features to the developer. PhoneGap abstracts the APIs for the most widely available mobile phone features so mobile application developers can use the same code everywhere. You still need to deploy your app manually using the SDK (Software Development Kit) provided by the vendor, but you don't need to change your application code. * > There are other projects and products available that serve a similar purpose as PhoneGap, such as RhoMobile and Titanium Mobile, but I ' ' | $ prefer PhoneGap because it allows you to write a standard web app and drop it into a native code environment virtually unchanged. Since this is an Android book, we'll focus on the Android branch of PhoneGap. Just be aware of the fact that you could potentially deploy your app to iPhone, Nokia, Palm, and other popular devices with little or no modification. In this chapter, we'll be interacting with PhoneGap and the Android SDK via the command line. The command line is a text-only environment that allows you to do things that you can't do through the operating system's normal graphical UI. On Mac OS X, this is the Terminal application, which lives in the /Applications/Utility folder. On Windows, it's the command prompt (click the Start Menu, choose All Programs^ Accessories^Command Prompt). On Linux, open an xterm or Terminal. The command line can seem pretty geeky and cryptic at first, so I promise to keep things to a bare minimum and explain everything as much as possible along the way. As you work through the examples, be sure to type things exactly as you see them here. In other words, spaces and capitalization count. You can also download the sample files for this chapter from the O'Reilly page for this book if you'd prefer to copy and paste. 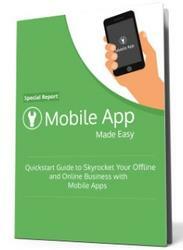 Quick start guide to skyrocket your offline and online business success with mobile apps. If you know anything about mobile devices, you’ve probably heard that famous phrase coined by one of the mobile device’s most prolific creators proclaiming that there’s an app for pretty much everything.